A Georgia police officer was shot in the shoulder during a “running gun battle” near an Atlanta-area gas station Friday afternoon, police said. The bullet wound was characterized as a “through and through.” The officer is conscious and alert at a hospital, DeKalb County Public Safety Director Dr. Cedric Alexander told reporters. Two suspects were taken into custody, and were not wounded, he said. “These officers did an extraordinary job today,” Alexander said. At least two officers fired during the shootout. “This was a running gun battle,” he said. 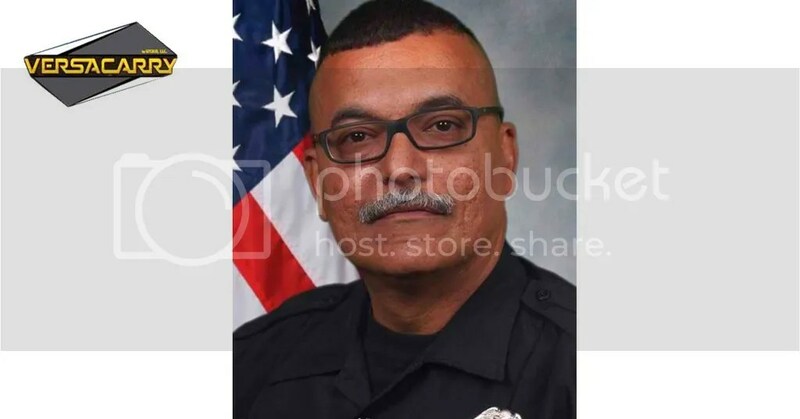 NBC affiliate WXIA identified the injured DeKalb County Police officer as Marco Vizcarrando, 47, a 19-year veteran of the department. Alexander said detectives working a “gun-running” investigation located a car they were looking for at around 4 p.m., and called for backup. A marked police car tried to stop the vehicle and it fled, crashing into a wall near a gas station, he said. “When uniform blue lighted them, they took off and it all ended right here and the shootout began,” Alexander said. One suspect surrendered and was taken into custody near the scene of the shootout and a second was located by police dogs in a wooded area nearby, Alexander said. Their identities and potential charges were not immediately disclosed. The officer who was shot, a 20-year veteran, was airlifted to Grady Memorial Hospital in Atlanta and is expected to recover, he said. “He is conscious, he is with family, he is alert, and hopefully we can get him out of the hospital as soon as possible,” Alexander said.